Both pictures above show Sub Chaser Gurupi sailing off Rio de Janeiro and at the docks of Brazilian Navy Arsenal. 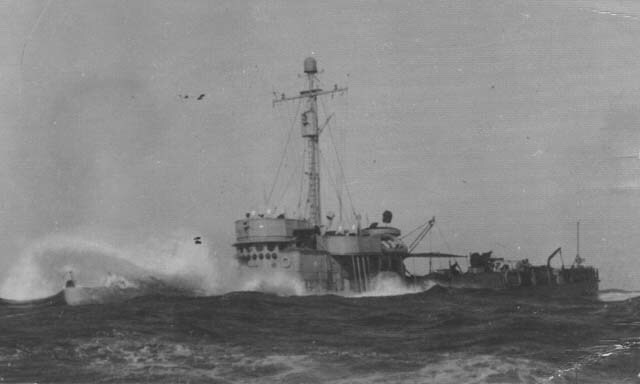 Guaiba plying the rolling sea in a patrol search for enemy submarines. 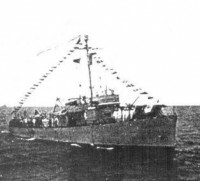 Sub Chaser Guaiba - G 1, ex-USS PC 604, was built at Sullivan Dry Dock and Repair Co., Brooklyn, New York. 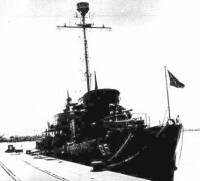 She was launched 24/Oct/42 and incorporated to the Brazilian Navy on 11/Jul/42. 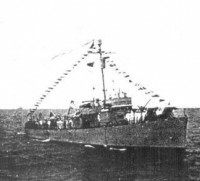 She was transferred and incorporated to the Brazilian Navy 11/Jun/1943 in a ceremony Miami, Florida. Her first commander was Lieutenant Captain Aluisio Galvão Antunes. 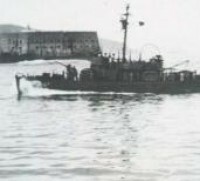 The cost of acquisition of the sub chaser of these class in 1942/1943 was US$ 1,7 million.